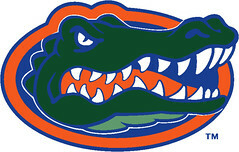 Andrew Connell - Florida Gators - National Champions AGAIN!!!! Florida, our Alma Mater, thy glorious name we praiseAll thy loyal sons and daughters, a joyous song shall raise. Where palm and pine are blowing, where southern seas as flowing,Shine fourth thy noble gothic walls, they noble vine clad halls! 'Neath the orange and blue victorious, our love shall never fail,There's no other land so glorious, all hail, FLORIDA HAIL! GO GATORS!!! 2008 NATIONAL CHAMPIONS!! !